CAE Healthcare announced today that it has created the world’s first training model for ultrasound-guided evaluation and procedures for knee conditions and injuries. The CAE Blue Phantom Musculoskeletal (MSK) ultrasound training model will allow clinicians in training and certified healthcare providers to practice assessment exams and repeated needle procedures in a safe environment before scanning real patients. 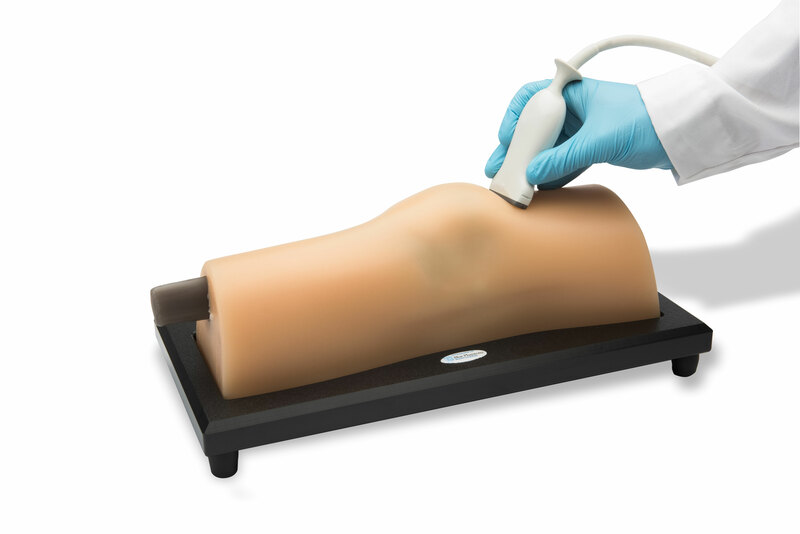 The ultra-durable ultrasound model incorporates all of the anatomy required to teach and practice the psychomotor skills associated with joint injections and with aspirations associated with rheumatologic conditions. It was designed for both ultrasound-guided and landmark-based procedural training. Practitioners use ultrasound on the knee to view bones, nerves, tendons, ligaments and fluid in order to diagnose arthritis, tendon tears, masses, lesions and complications of surgical procedures. For patients, ultrasound provides better comfort, less exposure to radiation and lower cost than computed tomography (CT) scans or magnetic resonance imaging (MRI). Blue Phantom models are made of patented SimulexUS tissue, which has proven to be self-sealing through 1,000 or more needle sticks. The models simulate the acoustic properties of human tissue and are designed for practice with real ultrasound machines. Based on digital scans of the knee, the Blue Phantom MSK ultrasound model includes practice cases with different sizes of effusions, cases requiring aspiration (fluid removal), anesthesia injection and more.